Do we need guidelines to limit screen time? Psychologist and lecturer in child health education in Brighton, Dr Aric Sigman, said in his 2017 study, that letting children watch too much TV can lead to them having ‘screen dependency disorder’ which can last a lifetime. 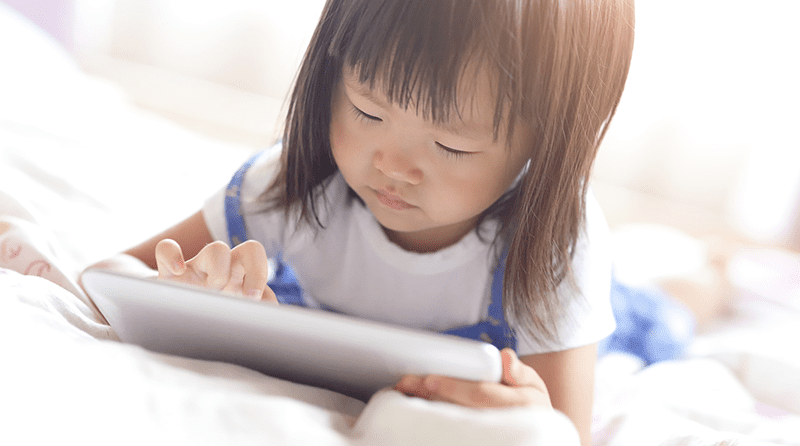 Currently, there are no guidelines regarding screen time in the UK, but Dame Sally Davies, the UK chief medical officer, has advised parents to set their own ‘age-specific maximum times’ for iPads and TV. Recent research conducted overseas has backed up these theories with Canadian experts conducting a study of 2400 children to assess their developmental skills. Scientists found that children involved in the study, who spent more time playing on iPads or watching TV by the age of two, manifested poorer development by the age of three than other children. Children aged three, who spent more time in front of a screen or TV, had worse communication, problem-solving and personal skills by the age of five. Based at the University of Calgary, the research scientists said to the Daily Mail: “Digital media and screens are now ubiquitous in the lives of children. The outcome of the research was published in JAMA Paediatrics. The researchers learnt that on average, two-year-olds spend 2.4 hours a day in front of a screen and three-year-olds spend 3.6 hours a day. Whereas five-year-olds already in school are still spending 1.6 hours a day watching TV. The report says: “Child development unfolds rapidly in the first five years of life. “The present study examined developmental outcomes during a critical period of growth and maturation, revealing that screen time can impinge on children’s ability to develop optimally. “When young children are observing screens, they may be missing important opportunities to practice and master interpersonal, motor, and communication skills. “For example, when children are observing screens without an interactive or physical component, they are more sedentary, and therefore, not practising gross motor skills, such as walking and running, which in turn may delay development in this area. “Screens can also disrupt interactions with caregivers by limiting opportunities for verbal and non-verbal social exchanges, which are essential for fostering optimal growth and development,” said the scientists. So with evidence suggesting that increased screen time at an early age can hinder development, do we need to implement restrictions around this? According to guidelines set out by the Australian government, as well as some professionals, children should not be allowed to have screen time until at least the age of two, and after that, it should be limited to a maximum of 1 hour per day. Children age five and over should have no more than 2 hours in front of a screen per day. Do you have restrictions in place regarding screen time? Let us know in the comments below.